In light of the heartening empowerment of women it is fitting that Greta be recognized as one of the most important figures of our times. 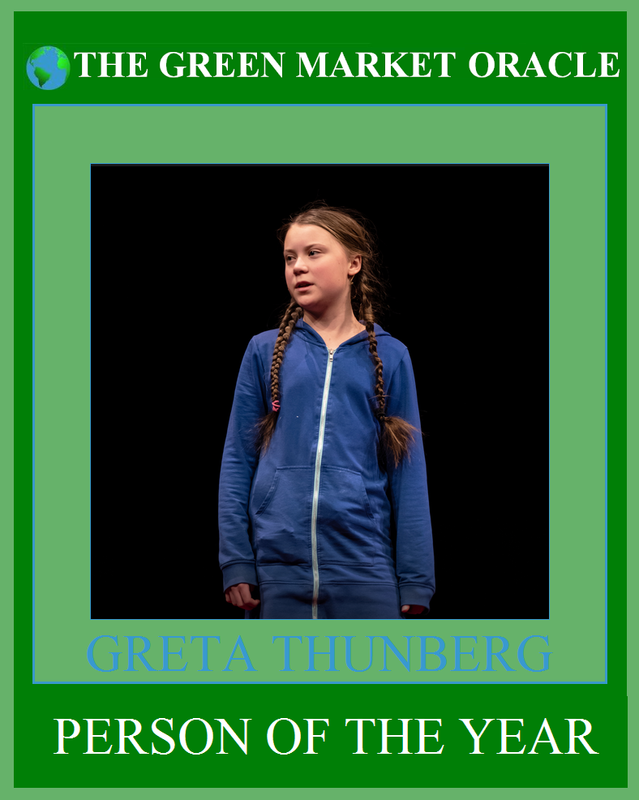 Women are at the forefront of historic change and although Greta may be young, this has not stopped her from becoming an international sensation. She rocked both COP24 in Katowice and the World Economic Forum in Davos with her brutally honest indictments. She has galvanized the support of young people while shaming adults for their failure to act. She practices what she preaches, she eats vegan to minimize her impact and she refuses to fly to avoid the footprint associated with air travel. Her father drove her to COP24 in Poland in an electric car and it took her 32 hours to get to the WEF in Swizerland by train. She even stayed in a tent to avoid the footprint of staying in a hotel. She unflinchingly speaks truth to power saying what others are too timid to say. She told those assembled at the WEF, "I think it's very insane and weird that people come here in private jets to discuss climate change. It's not reasonable...I would say, you have to practice as you preach otherwise people won't take you seriously." Greta understands the urgency and her warnings have been heard around the world. Like a Dickensonian ghost she called for immediate action at COP24. "We need to change ourselves now, because tomorrow it might be too late," Greta said in an interview with Democracy Now's Amy Goodman. "What we do now, future generations can’t undo in the future. We are deciding right now how we want our future to look like," Greta told Goodman, "you should try to change it while you still can." Our failure to do what we must to combat climate change is unconscionable. So it is left to the children to fight for their futures. "Since our leaders are behaving like children, we will have to take the responsibility they should have taken long ago," Greta said. "We have to understand what the older generation has dealt to us, what mess they have created that we have to clean up and live with. We have to make our voices heard." Greta is not asking for anything from politicians and CEOs she is telling them that although they have failed change is coming whether they like it or not. "So we have not come here to beg the world leaders to care for our future," Greta said at COP24. "They have ignored us in the past and they will ignore us again. We have come here to let them know that change is coming whether they like it or not. The people will rise to the challenge." She explained that we cannot be serious about confronting climate change without acknowledging the folly of our ongoing dependence on oil It is madness to burn 100 million barrels of oil each day and talk about emissions reductions. Fossil fuels are the primary cause of climate change so if we are serious we must deal with the elephant in the room. She tells us that politicians who protect dirty energy will be defeated by those that embrace clean power. "There are no politics to keep that oil in the ground," Greta said. Greta explained this "is the biggest crisis humanity has ever faced. First we have to realize this and then as fast as possible do something to stop the emissions and try to save what we can save." So she calls us to accept the facts, "our political leaders have failed us". She tells us we are, "facing an existential threat and there's no time to continue down this road of madness." As quoted in Common Dreams, Kevin Anderson, professor of energy and climate change at the University of Manchester lauded Greta saying she, "demonstrates more clarity and leadership in one speech than a quarter of a century of the combined contributions of so called world leaders. Wilful ignorance and lies have overseen a 65 percent rise in CO2 since 1990. Time to hand over the baton." Adults have failed to do what they must to protect future generations. Greta's message resonates with all people of conscience. Those who refuse to act can consider themselves warned. History will expose them for their crimes against humanity. Greta's clarion call reminds us that common sense and basic moral decency dictate that we must do everything we can and persist in our efforts until we achieve the goals laid out in the Paris Agreement. 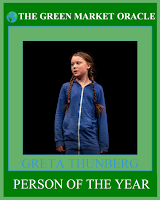 Greta gives us reason to hope that 2019 may be a turning point for climate activism.